Christmas was arrested on Tuesday in Tampa, FL, on a felony charge of criminal mischief, Us Weekly reported. The Hillsborough County Sheriff's Office reportedly confirmed the news of Christmas' criminal charge. The 36-year-old fitness enthusiast reportedly surrendered herself to authorities just before 2PM ET/PT on November 6. Christmas, however, was released on her own recognizance less than an hour after turning herself in, according to Us, and she was never held in a jail cell. Christmas was taken into custody only two days before her son Loyal Atticus' one-month birthday. 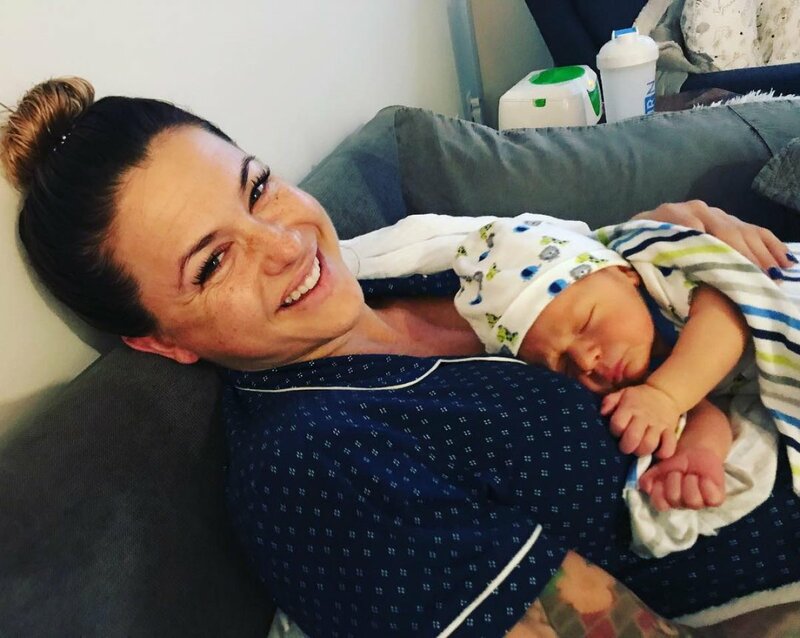 Christmas welcomed her son with ex-boyfriend Benjamin Bunn, a CrossFit gym owner, on October 8, but they apparently split while the former Big Brother houseguest was pregnant. According to TMZ, Christmas was arrested over an August 2018 incident in which she allegedly drove to a Tampa gym to confront Benjamin's alleged "side chick." Christmas reportedly "flew into a rage" and peppered the woman with questions and also threw a cup of coffee before ramming her car into the woman's own vehicle in the parking lot. The responding police officer witnessed Christmas continuing to scream at the woman after arriving, but declined to take her into custody immediately given she was eight months pregnant at the time. Although Christmas' vehicle was seized, she was allowed to opt to turn herself in for processing at a later date. Benjamin, 36, told the magazine last month his relationship with Christmas ended in December 2017. "Unfortunately, I had very little contact with Christmas in the last few months of her pregnancy. However, prior to that, we spent almost every day with each other for six to seven months straight," Benjamin revealed. "I went to every doctor's appointment, accompanied her for travel, moved furniture and did all the things that two caring adults do with and for each other... I was finally able to reach her a few days before [her] due date. I found out she was being induced through Instagram, and shortly thereafter received an email." Although Benjamin traveled to the hospital for his son's arrival, he reportedly missed Loyal's birth. Christmas finished Big Brother's nineteenth season in third place behind runner-up Paul and the winner Josh Martinez.